Songbird Cafe is one of the great cafes that slipped through the cracks during our move and never made it on the blog. I had to revisit it because it's definitely worth the visit! 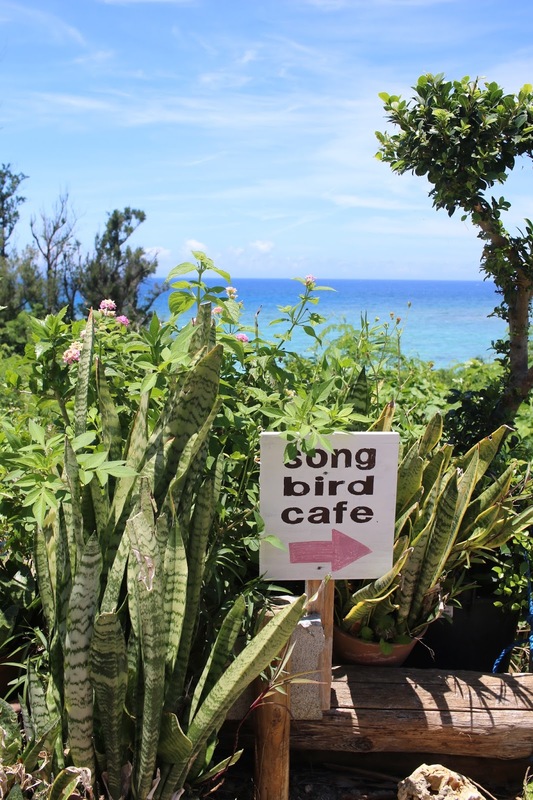 Situated on the coast in Yomitan, Songbird gives you a great outdoor atmosphere combined with the relaxing indoor decor. You can also buy some adorable little gifts while you're there, too. The food was outstanding! I must admit that we only had breakfast during our visit, but it was probably the closest thing that I had to an "American breakfast," throughout exploring all of the lovely Oki Cafes. Yum! There was a ton of food so it was a little more than I could finish, but I think Mark would have been able to finish every bite. Again, I really loved Songbird Cafe and I highly recommend it! While you're over that way, combine it with some fun Onna activities.